The Cooks River catchment community is characterised by diverse ethnic backgrounds with more than 50% of households speaking a language other than English at home. 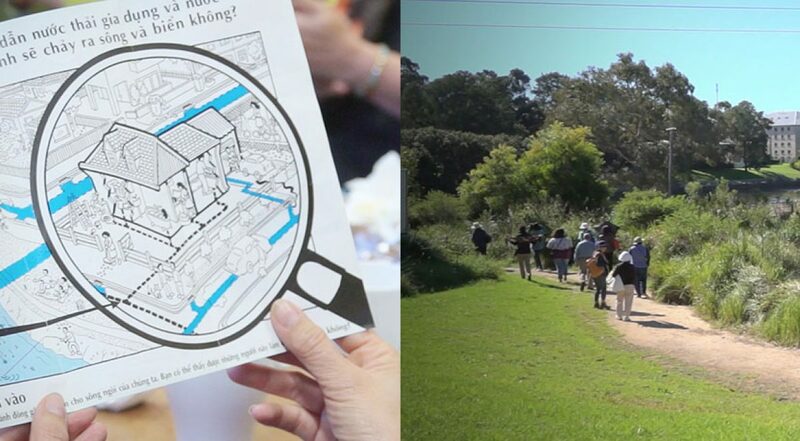 As part of its Collaboration and Community Engagement Program, the Alliance worked with the Ethnic Communities Council NSW to create and run a program that provides culturally appropriate materials to facilitate engagement around sustainable urban water values, behaviours and actions. In total, six language groups were supported and participants were able to explore, discover and appreciate the Cooks River and become more knowledgeable about the actions at home and in the garden that can contribute to river health. For more information, view the case study in the Alliance Annual Report 2015-2016 (available for download in the Related Documents to the right).